Jakob Hermann's father was German Hermann, the headmaster of a school in Basel and the author, with Balthasar Kisselbach, of Assertiones mathematicae ex universa mathesi desumptae Ⓣ (1664). Jakob, who had a sister Salome born in 1682, was a second cousin of Leonhard Euler's mother. He studied philosophy at the University of Basel but spent a large portion of his time studying mathematics. He received his first degree in 1695 and defended a dissertation on infinite series for a Master's Degree in the following year. Hermann was taught mathematics by Jacob Bernoulli who, at that time, was working on infinite series. Jacob Bernoulli had a number of pupils at the University of Basel, the first being Paul Euler (1670-1745) who studied theology but also studied mathematics. Paul Euler became a pastor in the Reformed Church and was the father of Leonhard Euler. Jacob Bernoulli divided up his work on infinite series into a number of dissertations and these were defended by his students for their Master's Degrees. Four of these students were Johann Jacob Fritz, who defended his dissertation on series in 1689, Hieronymus Beck who defended his thesis in 1692, Jakob Hermann who, as we noted above, defended his dissertation in 1696, and Nicolaus Harscher who defended his thesis on series in 1698. Slightly later, Nicolaus Bernoulli, a nephew of Jacob Bernoulli, also studied with his uncle and defended a dissertation on infinite series in 1704. It was Jakob Hermann, however, who Jacob Bernoulli considered was the best of his students and he was assigned Theses 36-46 which he defended under the title Positiones arithmeticae de seriebus infinitis earumque summa finita Ⓣ. ... he argues that there are no gradations in the infinite. The rules of calculating with finite quantities cannot simply be applied to infinite quantities as well. The infinite is by definition the greatest quantity. Basically, Nieuwentijt argues that if a quantity becomes infinitely small, he cannot see that anything remains. Hermann answered Nieuwentijt's criticisms in Responsio ad clarissimi viri Beruh. Nieuwentiit considerationes secundas circa calculi differentialis princip Ⓣ (1700). In this work he answers each of Nieuwentijt's criticisms, in particular arguing that there are gradations in the infinite. In 1701 Hermann became a member of the Berlin Academy of Science, his election being very much due to support from Leibniz who was delighted to see the clarity with which he had defended the infinitesimal calculus. Despite all this mathematical activity, Hermann officially studied theology after taking his Master's degree and he took his final theology examinations in 1701. It was through Jacob Bernoulli that Hermann had become friendly with Leibniz and, following the death of Jacob Bernoulli in 1705, Leibniz asked Hermann to write an obituary notice for Acta Eruditorum. One of the ways in which Hermann made the Leibnizian calculus known in Italy while he was in Padua was through frequent exchanges, by letter and in person, with Italian mathematicians, scientists, diplomats and scholars. In pursuit of his ambition to promote mathematical research in Italy while he was in Padua, Hermann decided to publish the results he had obtained on the central forces in Italian. This was one of the most topical subjects in the scientific literature of the time, with Newton, Bernoulli and Varignon all studying it, which is why Hermann gladly accepted the invitation of his friend and colleague Antonio Vallisneri, who, "because of his ardent desire to see the deeper sciences promoted", urged him to contribute to the Journal he had just founded with Scipione Maffei and Apostolo Zeno - the Giornale de' Letterati d'Italia. In fact, while in Padua, Hermann lectured on the standard topics of the day, namely classical geometry, mechanics, optics, hydraulics, and gnomonics. However, his work with other scientists was almost entirely devoted to understanding, developing and applying methods in the infinitesimal calculus. It was while he was in Padua that Hermann did most of the work on his most famous book, the Phoronomia Ⓣ, which is a text on mechanics. Although he began writing the book in 1709, it was not published until 1716, three years after he left Italy, and we will delay a discussion of the contents of this important work until a little later in this biography. Hermann held his post in Padua until his contract expired on 28 April 1713. While in Padua he had asked Leibniz's advice about moving to a university in another country and Leibniz had suggested a position in Frankfurt-an-der-Oder, but advised Hermann to see out the six year contract he had signed with Padua. Although he had a very successful career in Italy, Hermann seems to have found the fact that he was a Protestant in a Roman Catholic country somewhat difficult and, of course, Germany presented a religious environment much more to his liking. After leaving Padua in April, he went to Vicenza where he lived at the home of Giovanni Checozzi (1691-1756) and Sebastiano Checozzi (1693-1719) until June, after which he went first to Basel and subsequently to Frankfurt-an-der-Oder to take up his new appointment. He spent eleven years in Frankfurt-an-der-Oder, again a position which, as we have explained, was largely due to Leibniz's recommendation. But in 1724 Peter the Great called him to Russia to found, together with a number of others, the St Petersburg Scientific Academy. He went to Russia in 1725, meeting Christian Goldbach in Königsberg while on the journey, and held a chair of higher mathematics in the St Petersburg Academy until 1731. He lived at the court of Peter the Great's successors, Catherine and Peter II. While in St Petersburg, Hermann gave tuition in mathematics to Peter the Great's grandson, Peter Aleksevevich who was crowned Peter II in 1727. Hermann worked on trajectory problems, algebraically squarable curves, and attraction; results on all of these topics he published in papers while in St Petersburg. He also worked on the textbook Abrégé des mathématiques Ⓣ (1728-1730), writing the first volume, Arithmetic and Geometry, and the third volume on Military Fortifications. In 1726, the St Petersburg Academy began to publish a journal under the title Commentarii Academiae Petropolitanae Ⓣ. The journal was launched with an article by Hermann taking pride of place. Leonhard Euler arrived at the Academy in 1727. This was a difficult time since, following the death of Catherine, Peter II had become tsar at the age of twelve. There was political turmoil which had a serious affect on the work of the Academy which was close to collapse. Hermann worked at the Academy through these difficult years until, with the death of Peter II in 1730, the political situation stabilised. 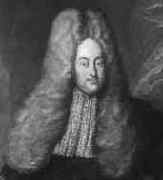 He had wanted to return to Basel, however, and had been appointed to the chair of ethic and natural law there in 1727. He had a substitute carry out the duties involved until his contract in St Petersburg came to an end in 1731 at which time he returned to Basel to take up the chair he had formally held for four years. He had hoped that a chair of mathematics would become vacant in Basel before his contract at the St Petersburg Academy came to an end but this did not happen. He belonged to the Basel school headed by the Bernoullis and, sharing their methodology, made important contributions to the analytical treatment of dynamics. However, he also leaned towards Newton and, on many occasions, preferred to deal with dynamical problems in terms of geometry. ... is devoted to the dynamics of solid and fluid bodies and covers many problems dealt with by Newton in the first two books of the 'Principia'. In the preface, Hermann declares his intention of adhering to geometrical methods, since these seem to him more suitable for beginners. However, his knowledge of calculus is evident in the way in which he deals with infinitesimals. Hermann's 'Phoronomia' is indeed representative of the process of transition that transformed dynamics in the first decades of the 18th century. An example of Hermann's approach is illustrated by looking at how he proved Kepler's area law. This had been proved by Newton in the Principia by using an intuitive limiting geometrical process. Hermann, however, gave a proof in the Phoronomia in terms of differentials. Although his notation was rather different from modern notation, and not particularly easy to understand, Hermann reworked the same ideas into a notation which is essentially that used today and sent his new version of the proof to John Keill who published it in Journal litéraire in 1717. The beginning of the kinetic theory of gases is usually assigned to the year 1738, when Daniel Bernoulli's 'Hydrodynamica' appeared at Strasbourg. The famous tenth section of this book pursued some of the consequences of the assumption that 'elastic fluids' consist of innumerable tiny particles in rapid motion. [However an] earlier attempt dates from 1716, and is to be found in the 'Phoronomia' of Bernouilli's compatriot Jacob Hermann. .... For us the importance of Hermann's chapter XXIV is that it is, as far as I know, the first attempt to deal mathematically with the relations between heat and motion. The intuition that the speed of the particles must be squared is especially noteworthy, but perhaps not more so than the assumption that their speeds will not all be the same, so that an average must be taken. Hermann discussed such topics as finding the radius of curvature and normals to plane curves; the division of an angle or an arc of a circumference into n parts, by the use of an infinite series; orthogonal trajectories for a given family of curves, by the use of differential equations; and the use of polar coordinates in the analysis of plane curves other than spirals. In his work on curves in space, Hermann discusses the spherical epicycloid; the problem of finding the shortest distance between two points on a given surface; and the equations and properties of various surfaces from the point of view of analytic geometry of three dimensions. Hermann possessed a serious, calm disposition; and through his sympathetic character, objectivity, and learning he won not only the friendship of Leibniz and of Jacob Bernoulli but also the respect of all the leading mathematicians.